HTC India has now sent out some media launch invites for the next device from the company. The company is expected to launch the HTC 10 device at that event which is scheduled to happen on 26th May. If we take a look at the media launch invite, it doesn’t say anything just a single line, “Save the date” which is written in a very stylish font in this media launch invite. 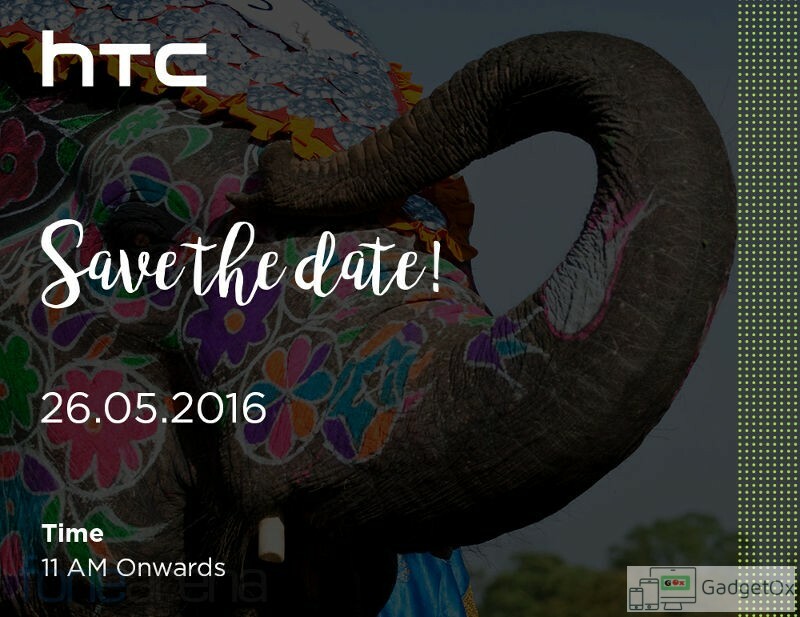 Another thing that is written is the date 25.05.2016 which is the launch date for HTC 10 smartphone in India. The invite is having a very colored elephant in background. The company has already promised that they will be releasing Android N update to the HTC 10 smartphone whenever it will be available. 5 MP FFC. Wide angle lens and screen flash on the front UltraSelfie camera. Full HD 1080p video recording.